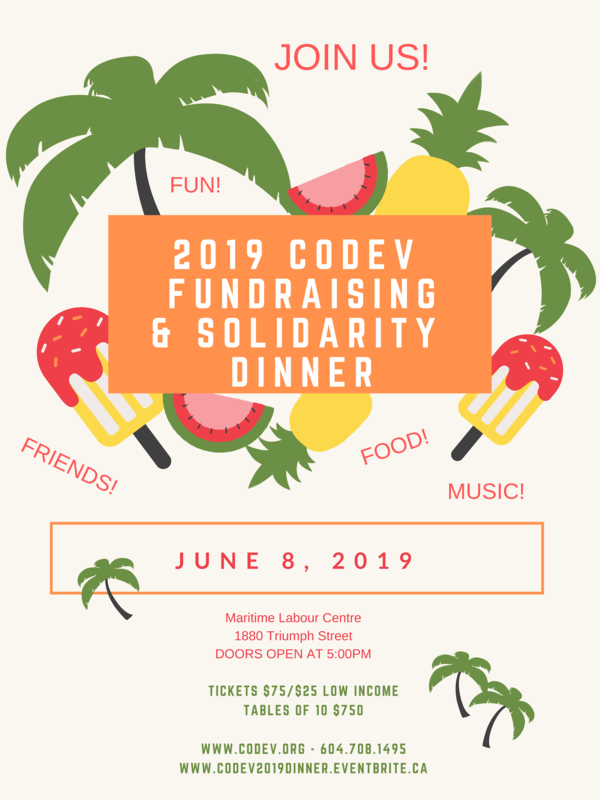 2019 CoDev Fundraising and Solidarity Dinner r1 Join us again this year for the ever popular Fundraising and Solidarity Dinner. Hope to see you there!! ... Join us for our Annual Fundraising and Solidarity Dinner!! Purchase tickets r18. follow on Twitter | friend on Facebook | forward to a friend Copyright © 2019 CoDevelopment Canada, All rights reserved. Thank you for signing up for CoDevelopment's e-news and notifications!